Fort Worth ENT is committed to providing each patient with an exceptional level of care and attention. 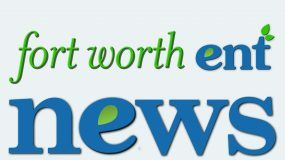 At Fort Worth ENT, we are proud to be physician owned and operated. Our dedicated staff works together as a team to provide high-quality and comprehensive pediatric ear, nose, throat and sinus care. Our compassionate and understanding doctors take pride in paying close attention to each patient’s needs. Fort Worth ENT offers specialized care in diseases of the ear, nose and throat, as well as for most complaints related to the head and neck. Whether you’re battling a balance disorder, having trouble hearing, breathing or simply sick of seasonal allergies, the ENT specialists at Fort Worth ENT can help you or your family. We care for all age groups ranging from infants and children to adults and senior citizens. 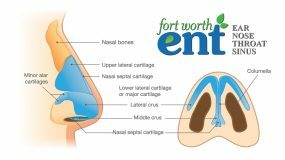 Fort Worth ENT offers a full range of services to relieve all of your sinus and nasal problems. Our physicians will perform a comprehensive sinus evaluation and thoroughly review your options for diagnosis and treatment. Be sure to ask our physicians about the latest technological advancement in endoscopic sinus surgery, the Brainlab® image-guidance system. This computer-assisted imaging device allows our surgeons to operate with pinpoint accuracy while operating on the nose and sinus. 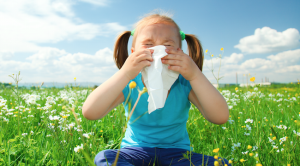 Often times, nasal allergies can play a large contributing role to chronic sinus problems. The Fort Worth Ear, Nose and Throat now offers complete allergy testing and immunotherapy (including sublingual immunotherapy) for our patients. Our multidisciplinary approach to pediatric ear, nose, throat and sinus problems is the key to our success in making you better, quicker. We also offer the minimally invasive Somnoplasty technology, which uses the delivery of highly controlled radio-frequency energy to shrink tissues responsible for nasal blockage and snoring. 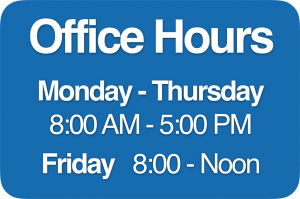 If you would like to schedule an appointment concerning pediatric ear, nose, throat and sinus care with one of our physicians at Fort Worth ENT & Sinus please complete an online appointment request or phone 817-332-8848.